ENVIRONMENT Minister Phil Hogan has given builders and insurers a last chance to pay for the repair of up to 11,000 homes damaged by pyrite. He said they had 10 days to come up with a viable proposal -- or else he would impose a levy on the construction, quarry and insurance companies who were responsible for the pyrite-damaged homes. "I will not delay in finalising robust proposals," he said. "It is the homeowners who have suffered far too long from this problem." Pyrite, also known as 'fool's gold', is a natural mineral found in stone which becomes unstable when exposed to air or water. It has caused cracking, splitting and buckling of walls, floors and ceilings. It is expected to cost €45,000 to fix each of the homes damaged by pyrite. Mr Hogan had previously given the companies a deadline of the end of last month to come up with a solution. But he said the responses he received were "disappointing". The 'Pyrite Panel' report found that up to 12,250 homes were potentially exposed to pyrite. Around 1,100 homes have been fixed by builders. But of the 11,150 homes remaining, 850 require immediate repairs and a further 10,300 could require repairs in the future. Mr Hogan said the priority was to deal with the 850 dwellings in need of immediate remediation and put a "green, red and amber" system in place to repair damage in the remaining homes as it emerged. However, this has frustrated homeowners, who do not want to live with the threat of pyrite. Junior Agriculture Minister Shane McEntee, who was involved in negotiations to get 700 pyrite-damaged homes repaired by builders, said he believed the Government's plan to set up an industry-funded pyrite-repair scheme was better than going down the legal route. Most of the homes affected are in Dublin, Meath, Kildare and Offaly. The building material containing pyrite came from certain quarries. Mr Hogan's ultimatum to builders and insurers came as around 80 homeowners with pyrite-damaged properties protested outside the Dail and then entered the Dail visitors' gallery to listen to the debate. But Independent TD Clare Daly said Mr Hogan's comments about the State not being responsible were an "insult" to homeowners. She added that there had been a lack of oversight of the building and quarrying sector. THE presidents of two more third-level colleges have come out publicly in their support for Connolly Hospital in Blanchardstown as the site for the new national children's hospital. Prof Brian MacCraith, president of Dublin City University, and Prof Philip Nolan, president of NUI Maynooth, believe it has the potential to create a world-class medical research and innovation hub. The academics were joined in a statement of support by Prof Cathal Kelly of the Royal College of Surgeons, which has already backed Connolly hospital in north-west Dublin as a site. It is still unclear when the proposed location will be brought before Cabinet because of a delay in holding a meeting between Health Minister James Reilly, Taoiseach Enda Kennyand Tanaiste Eamon Gilmore on the issue. They must have first sight of the minister's report, which will be based on the findings of the review group chaired by businessman Frank Dolphin, who looked at more than 40 sites. The colleges said the debate around the location of the new children's hospital "had rightly focused on what is best for children and their families". It said the discussion to date has focused on four issues: best clinical care for children, planning, access and cost. 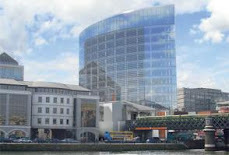 The McKinsey report on the proposed site, commissioned by the government in 2006, considered the Connolly location the best in terms of planning, transport access, parking and, by implication, cost. "The integration of Beaumont and Connolly Hospitals into a single structure addresses any concerns raised about the scope of clinical specialties available. "Together the hospitals have the broadest range of child-facing specialties, including neurosurgery, transplantation, national poisons centre and the national cochlear implant centre. "The hospital campus must have the capacity to accommodate at least 1,500 medical, nursing and other health-related students annually to train as the next generation of children's healthcare workers," they said. They added: "The Connolly site, adjacent to the M50 and N7, has excellent road, rail and airport links. The site itself is over 150 acres in size, zoned for development; it is adjacent to a further 200 acres of IDA lands. "This type of development will be supported by the existing co-location of IT and pharma companies in the area, such as Hewlett Packard, IBM, INTEL, Wyeth and Bristol Meyers Squibb," they said. DUBLIN CITY planners are to meet public representatives on proposals for a €65 million, mixed-use development based around a new Islamic cultural centre on the city’s northern fringe. The council is currently considering a planning application which includes a large mosque, a 34 classroom school, conference centre, assembly hall, playground and swimming pool on the site in Clongriffin. CLAIMS BY wind energy promoters that their projects would create thousands of jobs in Ireland have been hotly disputed by anti-wind farm campaigners, who say they have seen “no evidence” of local employment. “What we have seen is the misery and suffering they have caused local families who not only have to endure the noise and shadow flicker the wind turbines produce, but now face the realisation that their family homes are worth up to 80 per cent less than their market value,” said Yvonne Cronin, spokeswoman for Communities for Responsible Engagement with Wind Energy (Crewe) which was founded last June. THE QUALITY of the data used by exploration group Tamboran Resources to determine the natural gas reserves in the Lough Allen region was “questionable”, a Government expert has claimed. Michael Hanrahan, senior geologist with the Department of Communications, Energy and Natural Resources petroleum division, told an Oireachtas committee yesterday that the quality of that information could be questioned. “The seismic data is very old and its quality is questionable,” he said, and would need more evaluation. LAND OWNED by religious congregations in Dublin is set to be rezoned to allow for residential development following a decision to change the Dublin City Development Plan. The plan, which sets down what developments are permitted in the city, had barred some 770 hectares of institutional land on 186 sites across the city from being used for housing. More than half the land is held by religious bodies. Waste company Indaver last night announced it had withdrawn its judicial review of a refusal by An Bord Pleanála to grant planning permission for its €160 million twin incinerator project in Cork and it will instead lodge a fresh planning application for the project. Indaver said it had decided to withdraw its judicial review which was due to begin in the High Court on Tuesday after it obtained a report by Cork County Council. AN BORD Pleanála has refused permission for a bypass of Adare in Co Limerick. Traffic gridlock around the scenic town is blamed for major delays at weekends and during the peak tourist season. Some 10,000 cars a day pass through Adare, it is estimated, and delays are a constant feature at weekends and daily during the summer. Local TDs have reacted angrily to the decision. However, the bypass was linked to plans for the Cork-to-Limerick motorway withdrawn earlier this year, and the board now sees the bypass as “isolated infrastructure”. EIRGRID HAS been granted planning permission by An Bord Pleanála for a €20 million overhead power line in Co Cork which, it says, is essential to provide security of electricity supply and assist in the exporting of renewable energy. An Bord Pleanála granted planning permission for the 110kv line, which will run for 40km from a substation at Clashavoon, 10km northeast of Macroom in mid-Cork, to another substation on the outskirts of Dunmanway in west Cork. AN ESTIMATED 50,000 tonnes of domestic waste look set to be exported from Cork city and county this year for disposal abroad due to a lack of local facilities to cater for the waste. The export of the waste is organised by Indaver. Details of the Cork shipments emerged last month at an oral hearing held by An Bord Pleanála into a planning application by Indaver for an expansion of its €140 million incinerator at Carranstown near Duleek, Co Meath. CORK COUNTY Council yesterday revealed it plans to lodge a planning application either late this year or early next year for a multimillion euro remediation project to make safe a tip head at the former Irish Steel plant at Haulbowline in Cork Harbour. The nine-hectare site has been the subject of concern for over a decade since the closure of the steel works in 2001, as sludge and other waste products from the plant were deposited at a sand spit at the eastern end of Haulbowline Island over a period of 40 years. Planning permission has been granted in Northern Ireland for a new cross-Border bridge. The £22 million (€27.6 million) single-carriageway structure will span the Newry River near Warrenpoint and link Co Down with Co Louth near Omeath and close to Carlingford Lough. The total length is approximately 660 metres, and the project is seeking most of the money from the EU's fund for development in border regions. THE TRADITIONAL Bewley’s signage on the front of its former Westmoreland Street cafe, now a Starbucks branch, could be at risk following an application to Dublin City Council for its removal. Bewley’s Oriental Cafes Ltd has applied to the council to be allowed remove the mosaic tiling on the facade and floor of the building bearing the Bewley’s name and replace it with plain tiles. It has also sought the removal of the stained glass, also bearing the Bewley’s name, from above the door. All of the features are believed to be almost 120 years old. PLANS FOR a bridge across the river Shannon to bypass Killaloe, Co Clare, could undermine the €660 million Limerick Tunnel by diverting traffic from it, according to the National Roads Authority (NRA). 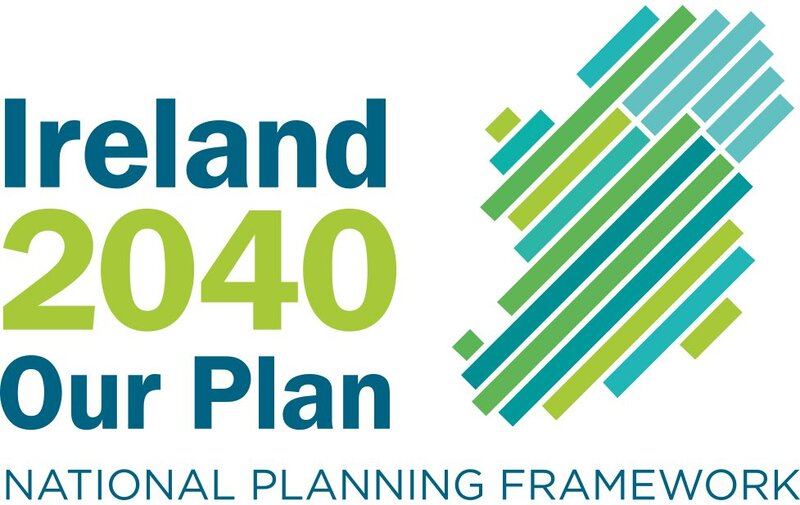 The plans, drawn up by consultant engineers Roughan O’Donovan for Clare County Council and North Tipperary County Council, are the subject of an oral hearing by An Bord Pleanála under the 2006 Strategic Infrastructure Act. The Limerick Youth Service is to redevelop 19th-century Ballyloughran House in north Co Kerry as a weekend hostel for youths from Limerick city and other regions. The house had been run as a multipurpose leisure and accommodation centre for schools and young people for 40 years. Limerick Youth Service closed Ballyloughran Activity Centre in Lisselton in November 2009, citing financial pressures as the reason. At the time, however, management said it was committed to the future of Ballyloughran in a more favourable economic climate. MINISTER FOR Health James Reilly is on a collision course with medical specialists over the expected selection of Connolly Hospital Blanchardstown as the location for the new national children’s hospital. Dr Reilly said at the weekend he would bring the long-awaited decision on the hospital to the Taoiseach and Tánaiste in the next 10 days and a Cabinet decision was likely to follow shortly after. However, consultants working in Dublin’s existing three children’s hospitals have warned Dr Reilly, in a letter seen by The Irish Times, against locating a new hospital away from adult and maternity facilities. THE NUMBER of wind turbines dotting the landscape looks set to double between now and 2020, according to reliable estimates. There are more than 1,100 turbines in operation in Ireland, mostly at 176 onshore “wind farms”, with a further seven offshore at Arklow Bank. A DRILLING rig to establish the scale of oil and gas reserves off the Dublin coast is due to be in place within six months after the approval of an exploratory foreshore licence. Dublin-based Providence Resources has said it plans to have the rig in place 6km off Dalkey Island on the Kish Bank Basin in the first few months of 2013. As local objections mount to the plan, however, Tánaiste Eamon Gilmore last night backed calls for a public inquiry into any future application by the developers. “The licence is for a once-off exploratory drill,” the Dún Laoghaire TD stressed, adding if a commercial licence was sought at a future stage, “I would expect a public inquiry to be held”. Environmental groups have criticised the Government after Irish-listed oil and gas exploration company Providence Resources was awarded a foreshore licence for the Dalkey Island prospect in Dublin Bay. The licence for an area in the Kish Bank basin allows the company to carry out a 2D seismic study, a well site survey and drill an exploration well. LEADING developer Gerry Gannon has lodged a planning application with Dublin City Council for a €65 million Islamic Cultural Centre including a large mosque at Clongriffin on the northern fringe of the city. It is the largest development project in the pipeline after the proposed National Children’s Hospital. The €30 million refurbishment of St Mel’s Cathedral in Longford is expected to create up to 150 jobs and should be completed in time for Christmas Eve mass in 2014. The Cathedral was gutted by a fire which broke out on Christmas Eve in 2009. The fire destroyed the roof, much of the interior and burned into Christmas day. Bishop of Ardagh and Clonmacnoise, Colm O’Reilly, today signed contracts for the project with Longford based GEM Construction and Galway based Purcell Construction, who together will restore the Cathedral. THE IRISH Jewish Museum has moved to reassure local residents that its plans for expansion will be in keeping with the neighbourhood. The redevelopment plan for the museum on Walworth Road, in Dublin’s Portobello, attracted more than 20 objections before the observation period closed on September 20th. The museum is awaiting a decision on its planning application, which was lodged with Dublin City Council in August. LIBERAL DEMOCRATS delegates grabbed coats and scarves as they made their way, heads bowed, along Brighton’s promenade for their party’s conference this week in the face of howling winds and rain, as an unseasonal winter gale battered England’s south coast. Despite being preoccupied with their own political survival, delegates had time to consider the UK’s future energy needs, as climate-change pressures clash with the world’s insatiable demand for energy, mostly fossil. MORE THAN €230 million was paid out by the State on various transport, education and health projects that were to have been delivered by public-private partnerships but have now been cancelled or put on hold. The comptroller’s report states that €216 million was spent on preparatory work on three large-scale transport projects: Metro North, Dart Underground and Metro West. All three projects have been postponed by the Government. THE LOCATION of the new national children’s hospital is becoming a political decision rather than a medical one, the master of the Rotunda maternity hospital has warned. With a long-awaited decision on the project imminent, Dr Sam Coulter-Smith has expressed his unease at the manner in which the Government appeared to be approaching the decision. MINISTER FOR Heritage Jimmy Deenihan has said he expects to shortly receive an environmental impact assessment on a Dublin site associated with the 1916 Rising. He said that numbers 14 to 17 Moore Street were under the remit of Nama. Proposals had been submitted to his department envisaging the retention of the buildings and the provision of a commemorative centre. Planning permission for the site had been granted by Dublin City Council and confirmed by An Bord Pleanála. THE ENVIRONMENTAL Protection Agency visited the Carranstown incinerator in Co Meath 48 times over the past year a public hearing by An Bord Pleanála was told yesterday. There were also audits by officials from Meath County Council and the HSE, the hearing into an application by Indaver Irl for an expansion of the plant was told by Jane Hennessy, the company’s communication manager. None of the visits by the agency found any problem at the plant which also received three visits by the Health and Safety Authority. A COMPLAINT about alleged lack of information and transparency on decisions regarding fish-farming matters has been made to the Minister for the Marine. In a letter to Simon Coveney, Friends of the Irish Environment (FIE) notes that the website of the Aquaculture Licences Appeals Board appears to have ceased operating in 2006, showing an out-of-date list of board members and no reports of more recent decisions.